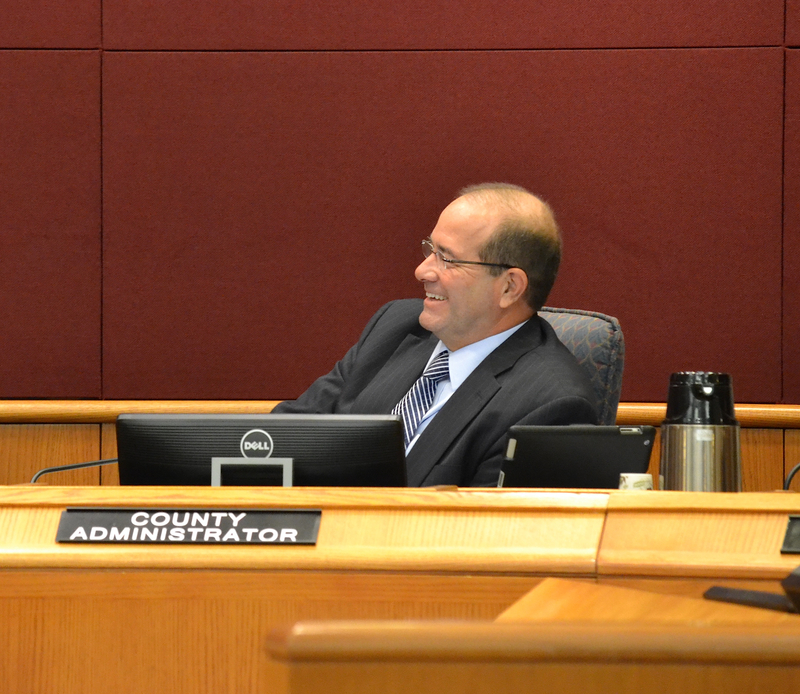 The Sarasota County Commission moved quickly this week to award a 3-percent raise to County Administrator Tom Harmer, whose current salary is $195,707.20, after praising his work as part of his annual evaluation. 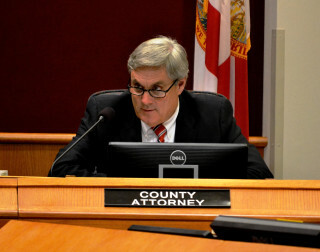 County Attorney Stephen DeMarsh also will receive a 3-percent raise, an automatic process built into his contract, Chair Carolyn Mason indicated during the board’s regular meeting on Oct. 28 in Sarasota. Nonetheless, the commissioners lauded DeMarsh for his work as well. DeMarsh is making $218,524.80, Drew Winchester, a county spokesman, told The Sarasota News Leader. The only caution commissioners offered Harmer during their almost 20 minutes of discussion was for him to make certain his upper-level staff members — managers, directors and assistant county administrators — handle more problems themselves instead of involving Harmer so often. When problems arise that a manager cannot handle, she continued, the appropriate director should intervene. If that proves insufficient, she added, the assistant county administrator overseeing that area of work needs to act. The board fired Reid on Oct. 23, 2013; he began working as administrator in January 2012. After their termination vote, the commissioners asked Harmer, who was deputy administrator, to take Reid’s position on an interim basis. The board voted unanimously on Jan. 28, 2014, to remove the “interim” from his title. In other comments this week, Robinson and Commissioner Al Maio praised Harmer for the manner in which he handles the preparation of the county budget. 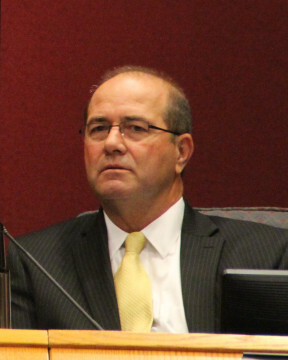 Caragiulo served as a city commissioner before his 2014 election to the county board. Robinson agreed about the high level of morale among county employees. During recent discussions among top-level staff, he continued, he had talked about some of the same management issues the commissioners had raised. “I think you’ve got a great crew, and you guys do a great job,” Caragiulo said. DeMarsh thanked the board members for their comments. He credited his staff for the “good results” his office produces. DeMarsh added that, occasionally, when he is traveling for business, he takes a few minutes to watch other government board meetings on local access TV channels. 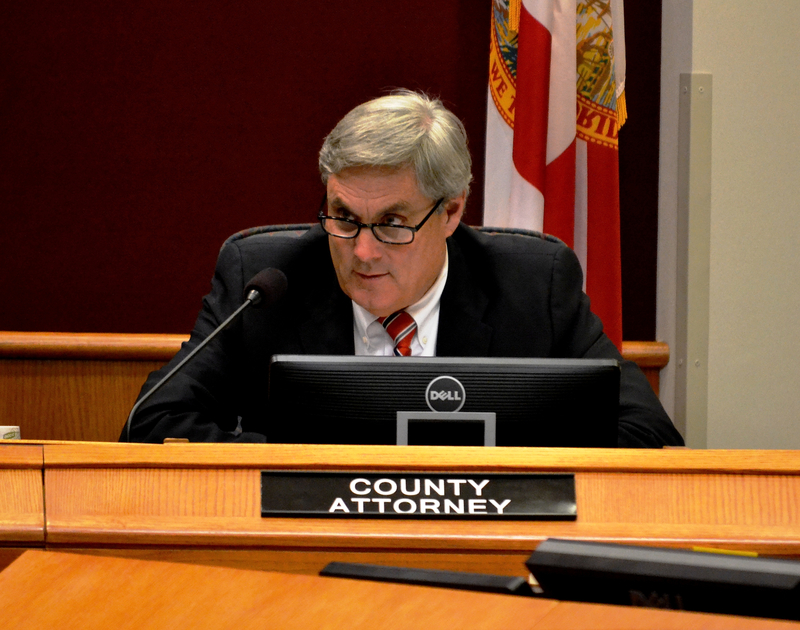 “What I take away from [that] is how professional Sarasota County government is,” he said.